Cosmic Star Heroine will be coming to PlayStation early next year, but in the meantime, we’re going to be showing off the game at PlayStation Experience 2015! Not only will you be able to play the PS4 version of the game, but for the first time ever, we’ll be letting people play the game on PS Vita! We’re big fans of PS Vita and have been working hard to make sure that Cosmic Star Heroine is a great experience on the system; we’re excited to share it with you! We’ve been making RPGs at Zeboyd Games for nearly 6 years now and are using all of our expertise to make Cosmic Star Heroine the best modern RPG from the 90’s ever. We’ve been inspired by great RPGs like Chrono Trigger, Lunar: Eternal Blue, and Phantasy Star IV, but we want to build on the foundation that those games have laid, not merely copy them. The best of both classic and modern design! Gorgeous pixel art. 3 exotic planets to explore. 11 colorful characters to lead into battle with hundreds of abilities to master. More than 100 minutes of amazing music from HyperDuck Soundworks (Dust: An Elysian Tail). An innovative turn-based battle system. Aliens. Robots. Magic. Forbidden technology. Ruined Worlds. Ghosts. Long-lost secrets. Conspiracies. A galactic threat. And one brave heroine to make things right. We thank you for your patience while we work hard to finish up Cosmic Star Heroine! Feel free to ask us any questions about the game here or better yet, ask us in person when you come to play the game at PlayStation Experience! Can`t wait for this title! The art style along makes it a must play! Looking forward to hearing more. This game looks so good. Can’t go to PSX but I really can’t wait to play it eventually! This looks fantastic! Although I’m not personally a PS Vita owner, it was an extremely thoughtful decision to release this for Vita (and all the Vita owners will love you for it). Can you give us any idea of how many playable characters we can expect to see? 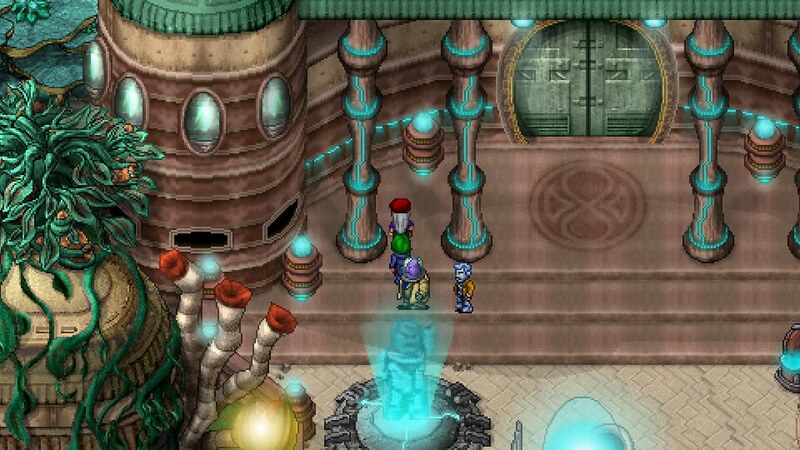 Also, are you planning on incorporating anything similar to Chrono Trigger’s Tech system? There are 10 unique combo techniques in the game – one for Alyssa (the main character) + each other playable character. Robert, thank you for the information. This will be a day one purchase for me. Keep up the great work! And to think people cry & complain Sony doesn’t care for the PS Vita & I see games coming out. It may not be what people want but nonetheless games are coming out. You do know this game is not developed by Sony and was made possible by a kickstarter right? Wow, this looks so great… thanks for supporting the Vita! Hope this turns out great and can fund more Vita titles from you guys. I never heard of this game but it looks great and I can’t wait to play it. Do you have any ideas on what month you are shooting for release? Or the price? We’re aiming for early 2016 but don’t have a specific date yet. When we do, we’ll be sure to let everyone on the Playstation Blog know! We haven’t finalized the price but we’re leaning towards $15. The game should be around 20 hours of tightly paced RPG goodness and will be cross-buy so you’ll get both the Playstation 4 and Playstation Vita versions. We haven’t done testing on the PS TV yet, but we expect it will work just fine there. Eeeee!!! I can’t wait to finally play it! Dear friends at Zeboyd. I see you are considering PS TV. I want to thank you for not only considering PS TV, but letting us know in advance! I have played two of your games from Steam and found those experiences to be a lot of fun. I look forward to getting this game when it releases. Keep up the good work! I’ve been following it since day 1 on Kickstarter. These guys seem to have hit some roadblocks in getting it running on Vita and have spent the extra time to get it working. It’s great to hear seeing as how a few other indie studios have written off the Vita when they find out how much work it will take to get it running properly. Really looking forward to the game and the music previewed so far sounds excellent. HyperDuck Soundworks has really hit it out of the park with the soundtrack. I have the entire thing (over 100+ minutes) and I love listening to it while I work on the game. YES!! Can’t wait for this game to come out. Will the game have multiple ways to play through it? I am guessing the “around 20 hours of tightly paced RPG goodness” is for one play through. Please elaborate. There’s only one main storyline path, although multiple paths is something we want to do with our next RPG. The game contains a good amount of optional content plus multiple difficulty levels. Around 20 hours is an estimate for an average playthrough but depending on the difficulty level and how many side quests you complete, your actual time could be more or less than that. We’ll have a better idea on length once we complete the beta. Awesome. Thanks for the info Robert. Keep up the great work! The plan is for all trophies to be doable on a single playthrough, nothing that can be permanently missed. It must be a ***** to develop 8-bit game for PS3 aswell, but not for Vita wich uses CELL as PS3, infact Vita is missing tons of pluggins and libraries PS3 already has and supports latest versions. “We are a small team…”, bla, bla, and we cant afford or have time to develope for all three Sony platforms. Instead you could say: we get perks, bonuses and good deal for PS4/Vita only, but not for PS3, so we cant make the game for PS3 eventhoe it has almost 3 times larger market then PS4 and Vita combined. Or you just dont believe in PS3 for whatever reason. I would buy this on PS3 for my kids, same as other smaller games skipping PS3. Im sure revenues from PS3 market would be far better then Vita ones, not that I want Vita users to suffer same fate. Dear Lawd, this game looks amazing!! I hadn’t heard of it until now but I’m already all hyped!! Good luck on the release!! Now this is a game I can get behind for my Vita. Im not big on indie games but a classic style JRPG with a main campaign of around 20 hours, that’s something i can totally dig. Good luck on the title, I look forward to seeing the coverage on this game at PSX since I’m unable to attend. Looking forward to trying out at the PlayStation experience this weekend! Whoa. First time hearing of this game. It looks fantastic. Reminds me a lot of the snes-era rpg games. HYPE TRAIN! I know LImitedRunGames is doing a PS4 Physical version. If the physical PS4 copies sell well, would it be possible to have a limited physical Vita run? I would gladly pick this up when it comes out…. It positively reminds me of Radiant Historia DS. Will wait to see GB count of Vita version. I was a big fan of the Chrono Trigger and Lunar games back in the day, and that what got me highly interested in this game! 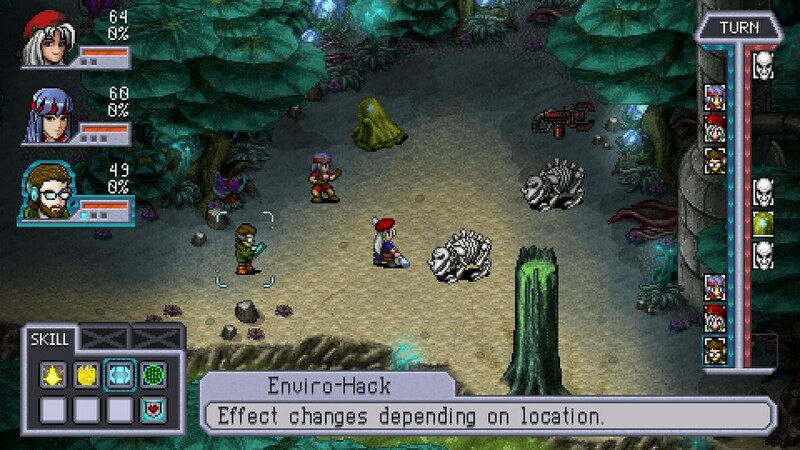 Though I may not be able to play it at the PS Experience, I hope to play Cosmic Star Heroine real soon! Keep up the good work guys! 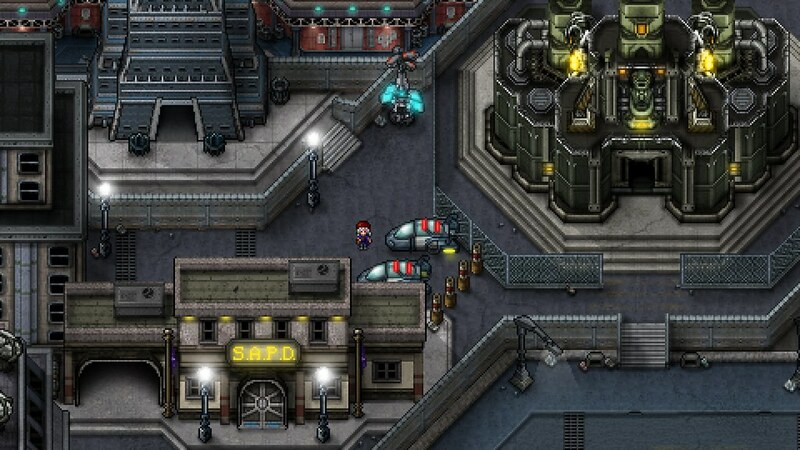 Been looking forward to Cosmic Star Heroine since it was announced.